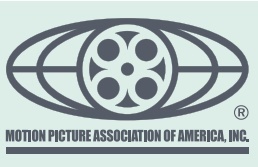 In December 2013, MPAA (Hollywood’s film association) announced that they had won the case filed against Torrent website Hotfile for a settlement of $80 million. Today some Sony leaks mail unveiled by TorrentFreaks revealed that the huge amount of $80 million was nothing but a hoax spread by MPAA. This is thought to be nothing but an attempt to aggrandize the severity of the situation as well as to scare the public. The email from Sony’s TorrentFreaks say,“The studios and Hotfile have reached agreement on settlement, a week before trial was to start. Hotfile has agreed to pay us $4 million, and has entered into a stipulation to have an $80 million judgment entered and the website shut down”.. I going to speculate that 80 million is what it cost MPAA to persecute/prosecute, 4 million is what they actually collected.